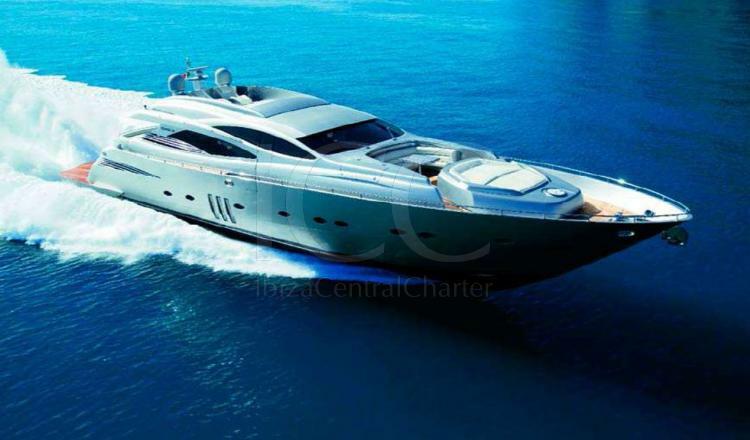 PERSHING 90 is one of the best Italian shipyard pershing yachts with a sporty design and with the highest technologies. In addition, you can achieve great speed with all kinds of safety and comfort. 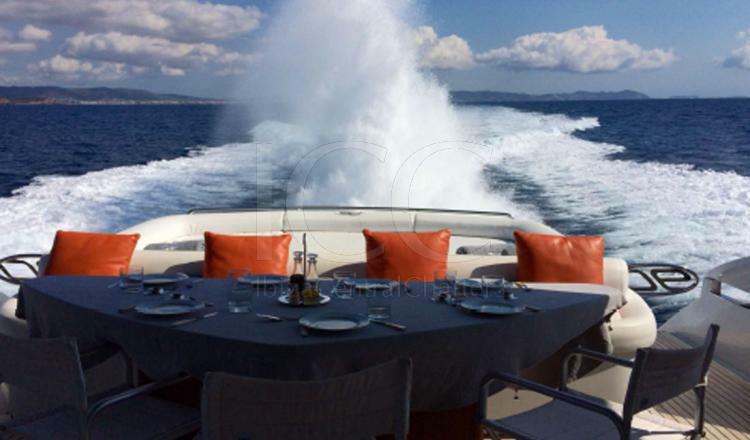 The outside area,built with teak, has a flybridge and a huge terrace where you can sunbathe while surfing the beautiful beaches of Ibiza and Formentera. 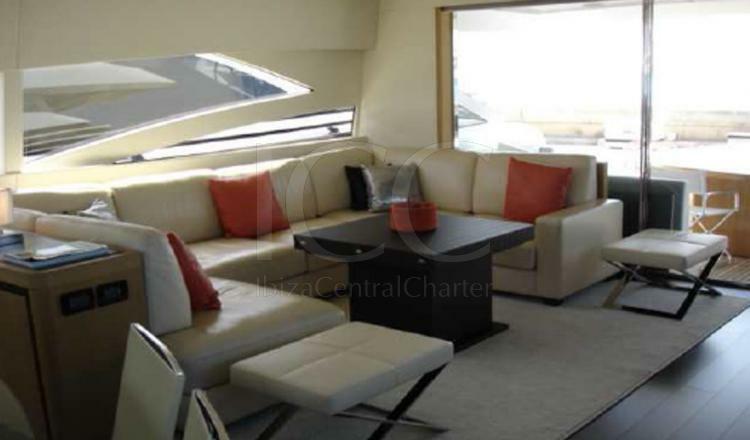 This yacht offers accommodation for up to 8 peoplein 4 fully equipped cabins with TV, Hi-Fi, bathroom and closets. In addition, the master stateroom with king bed features a lounge, a safe-deposit box and a dressing room. Another cabin has queen bed and a safe-deposit box. The other two cabins have two single beds each. An attentive and professional crew will take care of providing the best service for you to enjoy your incredible vacation. - Mooring in base port . - Insurance from the warranty.